In 2018, many ticket providers will be removing the option to print your ticket at home. 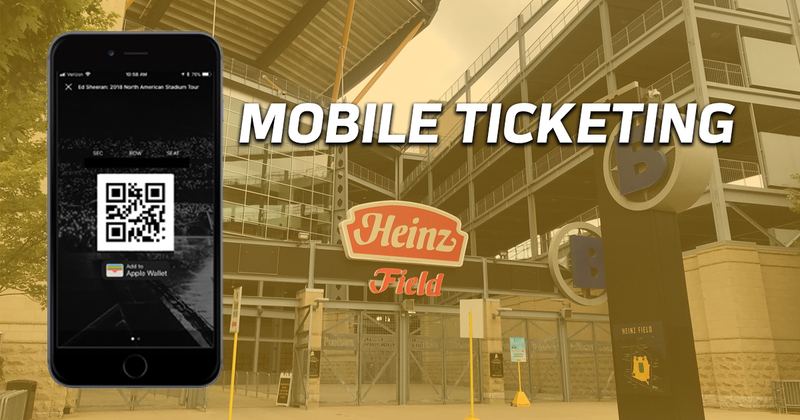 Due to this change, fans attending events and concerts at Heinz Field may be required to use a mobile app or online website to view and scan their tickets for entry. Below are step-by-step guides for entering Heinz Field with a mobile ticket. No matter which Ticket Provider you shop with, always view and save your tickets BEFORE you arrive at Heinz Field. On the day of the event, make sure you have a fully charged phone battery to ensure there are no issues when entering and exiting the building. If you experience issues on the day of the show or do not have a smartphone, see a Heinz Field ticketing representative at the Ticket Windows along Art Rooney Ave. NOTE: Screenshots of the Mobile Ticket QR codes will not work at entry. QR codes must be active through your ticketing app. 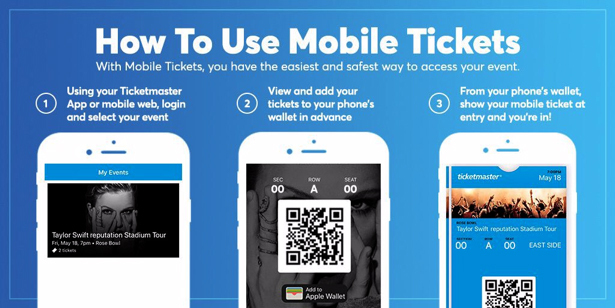 To view and/or download tickets purchased through TicketMaster, fans can either download the TicketMaster Mobile App or view their tickets in “My Account” at TicketMaster.com. You will need to know your TicketMaster username and password in order to view your tickets. Open the “Your Ticket Transfer Offer” email you received from StubHub. If you don’t see it, check your spam or junk folder. To view and/or download tickets purchased through Seat Geek, fans can either download the Seat Geek Mobile App or view their tickets in “My Account” at SeatGeek.com. You will need to know your Seat Geek username and password in order to view your tickets. To view and/or download tickets purchased through Vivid Seats, fans can either download the Vivid Seats Mobile App or view their tickets in “My Account” at VividSeats.com. You will need to know your Vivid Seats username and password in order to view your tickets.